Première étape de l’itinéraire des bons plans de Conor : Cork city. 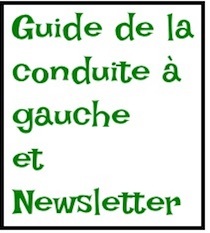 Vous pouvez écouter et lire en même temps. La piste est téléchargeable. Comme ça, vous pourrez l’écouter sans avoir à vous connecter à internet. The trail starts in Cork city. I highly recommend The Electric Fish Bar on the South Mall. Every time I come here, I just love it. 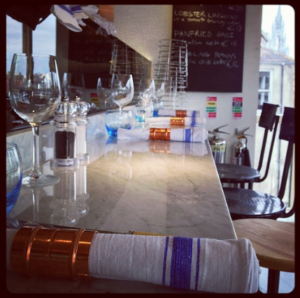 They have a yummy selection of seafood, a good choice of wines, in a really buzzy atmosphere, and lovely views overlooking the River Lee. Seafood heaven ! Tip #2 also from Cork city, is Cork pubs. 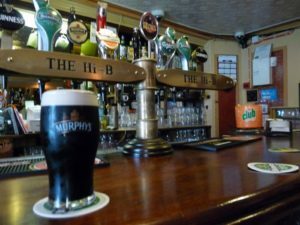 When in Cork, check out some of the brilliant pubs. Mutton Lane, just off Patrick St. It’s in a little lane between Patrick St. and the English Market. This is a classic old Irish pub and is much-loved by local Corkonians. Crane Lane, on Phoenix St. & Arthur Mayne’s, on Pembroke St. Two very different atmospheres side by side. Crane Lane is a great live music venue with a nice outdoor courtyard, and Arthur Mayne’s is a cool tapas wine bar just next door. on the list: Sin é, on Coburg St. ‘Sin é’ means ‘Voila’, and it is generally considered to be the home of Irish traditional music in the southern capital. on the list: The Hi-B, Oliver Plunkett St. 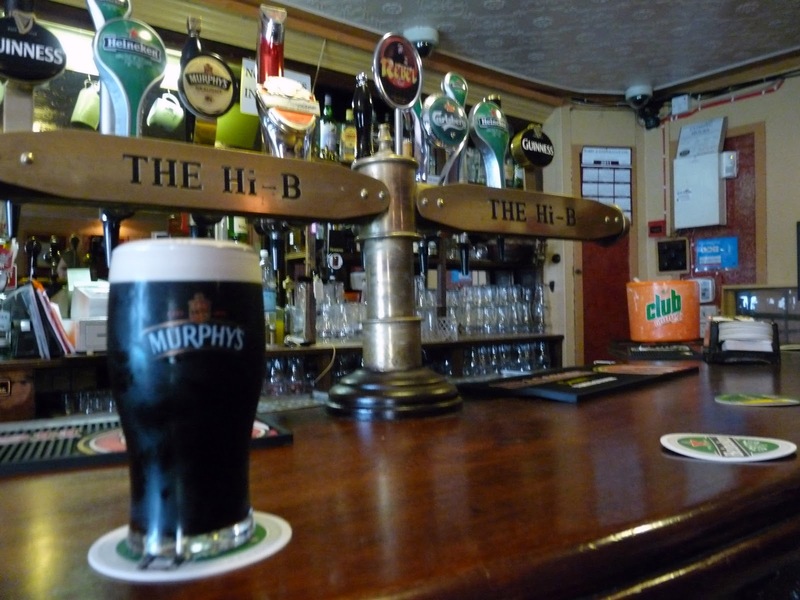 The Hi-B is a Cork institution. It is absolutely unique, there is no other pub in the world like it. You’ll just have to go and see what I mean- but guaranteed, it’s great fun. on the list is The Castle, #99 South Main St. This is a brilliant old pub, with a nice mix of young and old customers. I always enjoy a pint in there. And finally number 6 on the list: The Oval, on South Main St, #25. The Oval has a lovely cosy atmosphere, good music, a young crowd- I absolutely love the vibe !